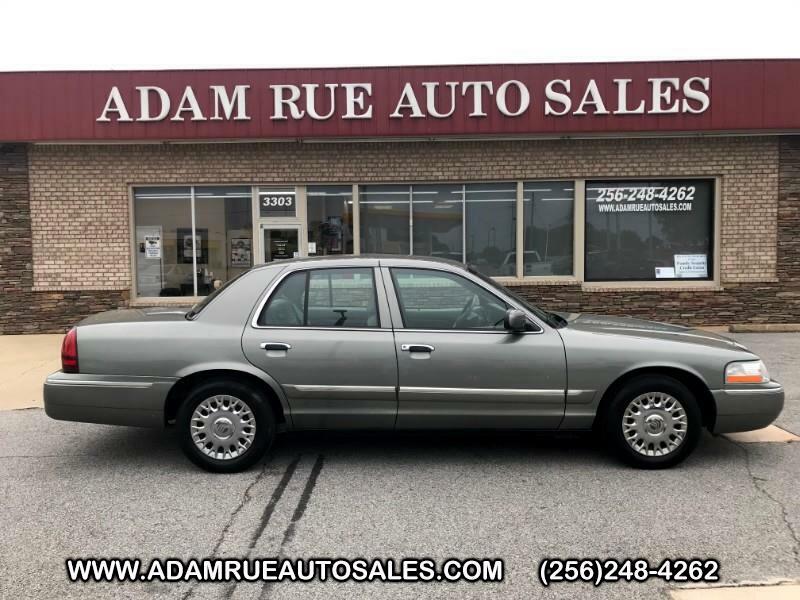 Adam Rue Auto Sales is honored to present a wonderful example of pure vehicle design... this 2003 Mercury Grand Marquis GS Convenience only has 159,490mi on it and could potentially be the vehicle of your dreams! This vehicle has extremely low mileage on the odometer, so while it's pre-owned, it's practically new. Driven by many, but adored by more, the Mercury Grand Marquis GS Convenience is a perfect addition to any home. You could keep looking, but why? You've found the perfect vehicle right here. This is the one. Just what you've been looking for. Thank you for considering Adam Rue Auto Sales! We are proud you are here. Our dealership is focused on making your buying experience as pleasurable as possible. We understand how difficult it can be finding the perfect vehicle. Our staff has been in this business many years and are trained to be professional and courteous while assisting you. After all, you are the reason we are here. We want to be a little different than what you will find down the street. We stock quality vehicles and look forward to treating you like family. Come See Us Today at Adam Rue Auto Sales! The Big Man With The Big Deals! We strive to make no mistakes in our listing, but errors are possible. Please confirm pricing, equipment & availability of the vehicle. Price does not include sales tax, title & doc fees. Unless the vehicle has remaining factory warranty it will fall under AS IS NO WARRANTY You may still purchase service contracts on our vehicles.